Tiger Woods pleaded not guilty to driving under the influence Wednesday, but has agreed to enter a diversion program that would see the charge dropped later this year. Douglas Duncan, the attorney for the 41-year-old golf superstar, entered the plea. Woods did not appear at the Palm Beach County courthouse. Prosecutor Adrienne Ellis said Woods has agreed to plead guilty to a lesser charge of reckless driving at an Oct. 25 hearing and enter the county's program for first-time DUI offenders. "He is not being treated any different than anyone else," Ellis said. Duncan declined comment as he left the courthouse. Under the plea deal, prosecutors would drop the DUI charge from his arrest in May when he was found asleep in his Mercedes-Benz, apparently under the influence of a prescription painkiller and an anti-insomnia drug. No alcohol was found in his system. In the diversion program, Woods will spend a year on probation, pay a $250 fine and court costs, attend DUI school, perform 50 hours of community service, attend a workshop where victims of impaired drivers detail how their lives were damaged and other conditions. Since the program began four years ago, almost 2,400 defendants have enrolled, according to the Palm Beach County State Attorney's Office. If convicted of DUI, Woods would have faced a fine of between $500 and $1,000, had his car impounded for 10 days and other conditions. He also could have been jailed for up to six months, although that was unlikely, received probation and lost his driver's license for six months to a year. Woods was arrested at 2 a.m. May 29 about 15 miles from his home in Jupiter, Florida, when officers found him unconscious in his Mercedes-Benz, which was parked awkwardly on the side of the road and had damage to the driver's side. It's not clear how he damaged the car. Officers checked the area but didn't find that he had hit anything. Woods didn't know where he was when asked by officers, and he stumbled and swayed through a field sobriety test, police dashboard camera video showed. Woods told officers he was taking the painkiller Vicodin and Xanax, which treats anxiety and insomnia, to cope with his fourth back surgery in April. Woods announced last month he had completed treatment at an out-of-state clinic to deal with his use of prescription medications. 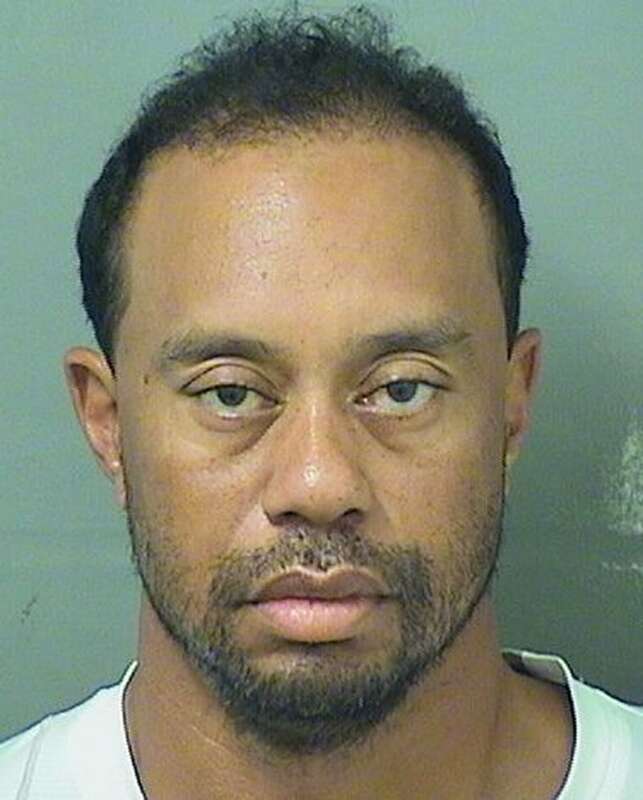 Related: Is Tiger Woods' DUI Arrest the Final Nail in His Coffin? His 79 PGA Tour victories and 14 major titles both rank No. 2 all-time. He has not competed since February because of his back injury and is not expected to return this year. His last win was in August 2013. His public image suffered severe damage on Thanksgiving weekend 2009 when he plowed his SUV into a tree and a fire hydrant outside his then-Windermere, Florida, home. That led to revelations that he had multiple extramarital affairs and a divorce from his wife Elin Nordegren, the mother of his two children.